(2011/History Press) Paperback, english, 15x23 cm, 206 pages, b&w illustrations. Just as the dances of Beach Music have their twists and turns, so too do the stories behind the hits made popular in shag haunts from Atlantic Beach to Ocean Drive and the Myrtle Beach Pavilion. In Carolina Beach Music, local author and Beach Music enthusiast Rick Simmons draws on first-hand accounts from the legendary performers and people behind the music. Simmons reveals the true meaning behind "Oogum Boogum," uncovers just what sparked a fistfight between Ernie K. Doe and Benny Spellman at the recording session of "Te-Ta-Te-Te-Ta-Ta," and examines hundreds of other true events that shaped the sounds of Beach Music. 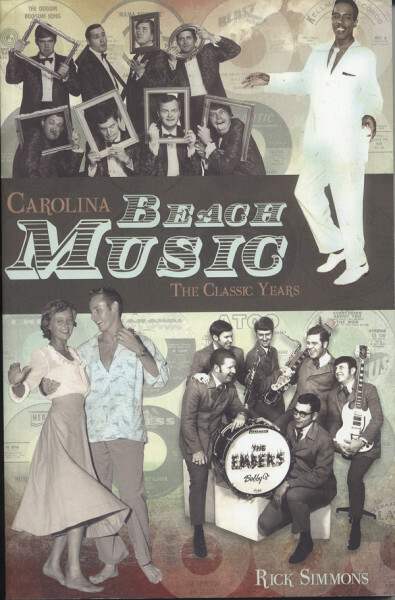 Customer evaluation for "Carolina Beach Music 60s-80s#1 - Rick Simmons: The Classic Years"